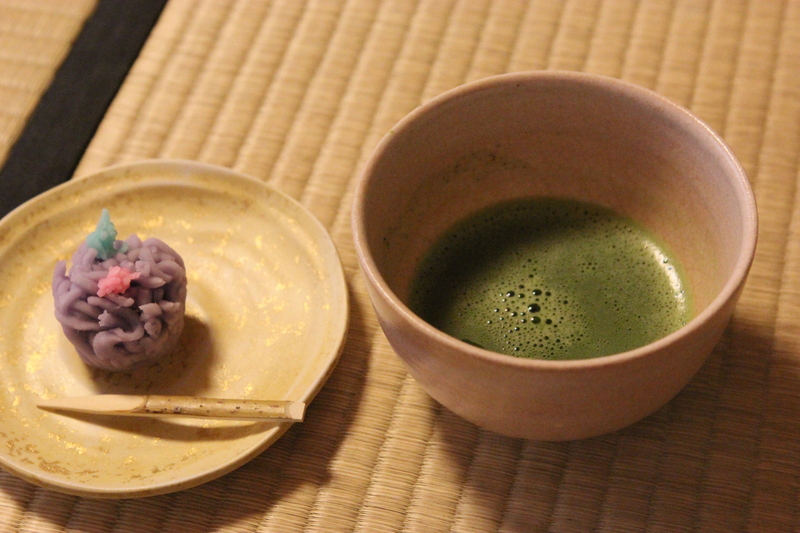 The matcha tea ceremony is about a lot more than just drinking tea. The entire ceremony is supposed to provide a spiritual experience that helps the people involved to benefit from tranquillity and harmony while there is a level of respect and purity in the event. There can be a considerable amount of preparation placed into the event and the host will prepare everything with the guest in mind. There is flexibility with respect to where the event can be held and at what time but there are a number of issues and factors that should be present at all times in a matcha tea ceremony. A bow in silence between the host and their guests will begin the ceremony where the guests will then purify themselves by rinsing out their mouths and washing their hands. In the most traditional format, guests will remove their shoes and enter into the room for drinking tea through a crawl-door. In the modern era, this is not necessary but the removal of shoes is an important element. Guests are then encouraged to take their seat or place on the floor and when all of the guests are in place, a sound is issues to alert the host to the readiness of their guests. The host will then enter and welcome all of the guests. A large part of the matcha tea ceremony process sees the host cleansing every utensil used in the process. This is carried out in front of the guests and the order of the cleaning process follows a precise manner. Once cleaned, all of the utensils will be placed in a carefully arranged arrangement, which is in accordance with the temae procedure that is being carried out. When this process has been completed, the preparing of the tea can begin. Again, the guest and host bow to each other and then the first guest will turn to the second guest and bow to them. The first guest will raise their bowl, which is done as a sign of respect to the host, and after rotating the bowl to ensure that they do not drink from the front of the bowl, the guest takes a sip. It is then customary to compliment the host on the quality of tea. The guest can enjoy a few more sips of team before they will wipe around the rim of the bowl and then pass the bowl onto the next guest. This procedure can be carried on for as long as possible and until all of the guests have had the chance to enjoy the tea and to examine the bowl. Once all of the guests have enjoyed the tea, the bowl is provided to the host who will clean the bowl and other equipment used before exiting the main room. Upon the host’s arrival, they will turn their attention to the fire, rekindling it and increasing the level of charcoal that is on the fire. This stage marks the conclusion of the formal element of the matcha tea ceremony and initiates the more laid back and casual element of the ceremony. It is common for the host to bring in smoking sets, sweet confections to be enjoyed with the tea and even cushions or soft furnishings to make the room more comfortable for the guests. The focus at this point is to allow the guests to relax and enjoy the process more so comfort is a considerable factor. This part of the ceremony can see lengthy conversations take place and the tea utilised in this section is likely to be lighter or thinner tea. Once all of the guests have enjoyed their tea, the host will once again clean all of the equipment and utensils used in the ceremony, in preparation of being put away. The guests can examine the individual utensils used in the ceremony and then the host collects the utensils as the guests prepare to leave the ceremony. The host will bow at the guest from the door and then the matcha ceremony is concluded. It is not uncommon for a matcha tea ceremony to last up to four hours depending on the number of guests and what is on offer.